"It has a good weight & feels sturdy. The paintwork is gorgeous. It comes with a screw & raw plug ready to put up - so handy. It’s such a cute addition to our nursery." "It’s so useful to hang Luther’s bag from. It’s sturdy enough to hang a bag or coat from it with ease. It’s a gorgeous way to keep Luther’s room a bit neater." 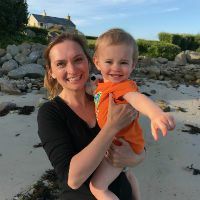 "These stylish wall decorations are perfect for hanging your little one's things on, whether it's clothes, paintings, signs or accessories." 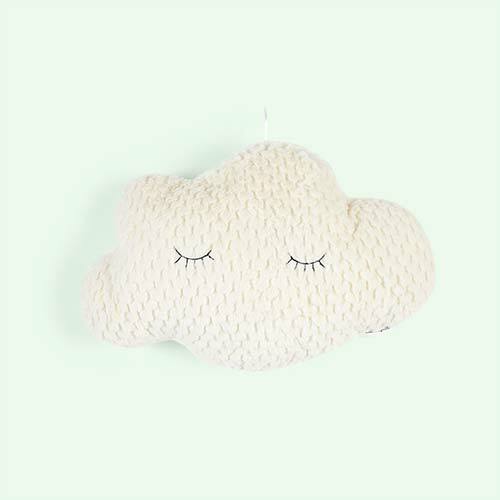 The sky's the limit when it comes to nursery style with these Bloomingville Cloud Wall Hooks. In a simple design with sleepy eye detail, we love how these themed hooks will make a statement anywhere you decide to put them. Add the star hooks to create a sky themed nursery, or use them to hang bunting.